As you all know, I was privileged to put on my judges hat once again and take part in the annual Free From Skincare Awards. This year I decided to book leave from work and attend the awards ceremony at the Love Natural Love Organic Show/Allergy & Free From Show. In past years I've followed announcements on Twitter from my desk so it was lovely to be part of the live action. Many of my favourite brands have scooped Gold, Silver and Bronze Awards. I was honored that four brands asked me to represent them at the awards because they sadly were unable to attend. My duty was to collect certificates for them should they win Gold. Lyonsleaf scooped joint winner in the Body Care Leave On category and now there is a picture of me with a goofy grin standing with Janey Lee Grace floating around the internet. I was happy that the other three brands, Gerlinde Naturals, LJ's Natural Solutions and Beeutiful were runners up in their categories and picked up Bronze awards. They all should be very proud of their achievements. I was delighted that Bloom Remedies’ Men’s Daily Moisture Care has taken top honours by winning the Overall Award for Best Free From Skincare Product. It's wonderful to see Marie's products recognized in this way. I'd also like to mention how happy I was to see Pai enter the awards this year. I have never understood why they haven't done this sooner, after all they are a brand specifically formulated for sensitive skins and that is what these awards are all about. It was disappointing to see no winner in the Hair Care category. I know many bloggers and readers struggle to find their Holy Grails for natural and organic shampoos. Perhaps next year you can encourage your favourites to enter? Some brands here which I haven't heard of, will have to check them out. I am seriously thinking of getting this men's moisturizer from Bloom remedies for my bf, it sounds like a good product. It's so good to hear that Neal's Yard Remedies have also won - have tried several of their products in the past and most of them are great, I am also always happy to promote them on my website. I sampled the moisturiser in judging, it's very nice I would be happy to use it on myself it felt lovely on my skin. 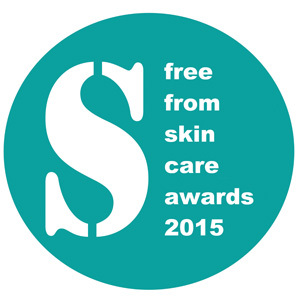 So great to see so many natural and cruelty-free beauty brands picking up awards. I bet you had a great time at the ceremony!